Neighbor Boy: Wait, what? Where did that girl come from? Isaac: Samus is a girl, dude. Neighbor Boy: What? I'm not playing a girl. I'm picking someone else next round. Isaac: Good. 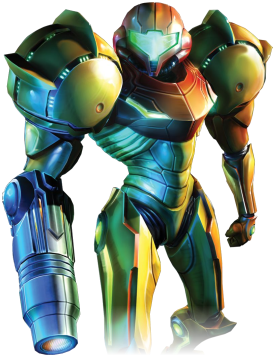 I'll put Samus on my team. Neighbor Boy: You want Samus on your team? Neighbor Boy: In that case, maybe I want Samus on my team, too. Isaac: Awesome. SAMUS VERSUS SAMUS! How do you know you have succeeded in teaching your son to respect women? When you see him teaching other boys. I love this. And it gives me real hope, which I kind of needed today, so thank you. Awesome! I loved this. I have a boy, too. That is so so cute! Good job!